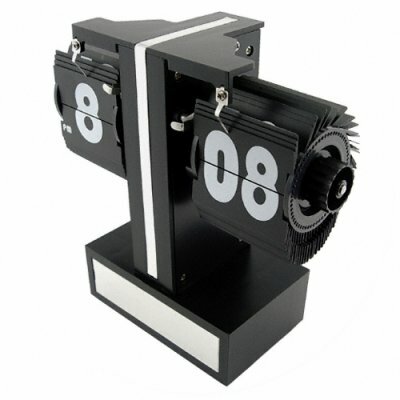 Successfully Added Mini Sized Flip Clock - Retro Fun to your Shopping Cart. Mini sized flip clock with a nice retro inspired design. What's not to love about clocks, especially when they are as cool as this one? Counting minutes and hours one flip at a time, this is a worthy time piece for any desk or tabletop, and is sure to draw some attention your way. Another fun little feature is a face plate built into the base that is just begging for you to put a personalized message on it. Liven up your bedroom or workplace with retro style with this low priced flip clock straight from the factory to you!